Oh my gosh such fancy flavors in a snow cone! I’m used to the standard red, blue, purple and green! So awesome! These look delicious Dorothy! And Cake Batter Snow Cones???? Ummm, you are the greatest mom ever! I had so much fun getting to know you in Austin over the weekend – I’m missing everyone already! Holy cow! What a GREAT idea!! Oh my goodness Dorothy, I’m not alone with having water issues! I love the water at our house but I won’t drink tap water anywhere else! The snow cones look incredible! I can’t wait for a hot summer day to enjoy a tasty snow cone! So excited about this!! The only snow cone flavor ’round these parts is blue. And blue is just not a flavor. It’s not. Pineapple upside down cake? Definitely a snow cone worthy flavor, can’t wait to try it! Jordan is a very lucky girl for getting to try all these Sno Cones! My own kids would be so jealous, they can’t resist them! 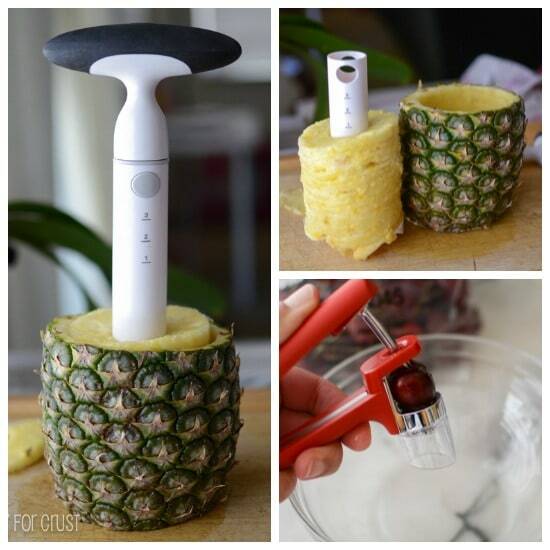 I love my cherry pitter, I NEED that pineapple corer! Yes you do!! I want to buy pineapple now, ha! 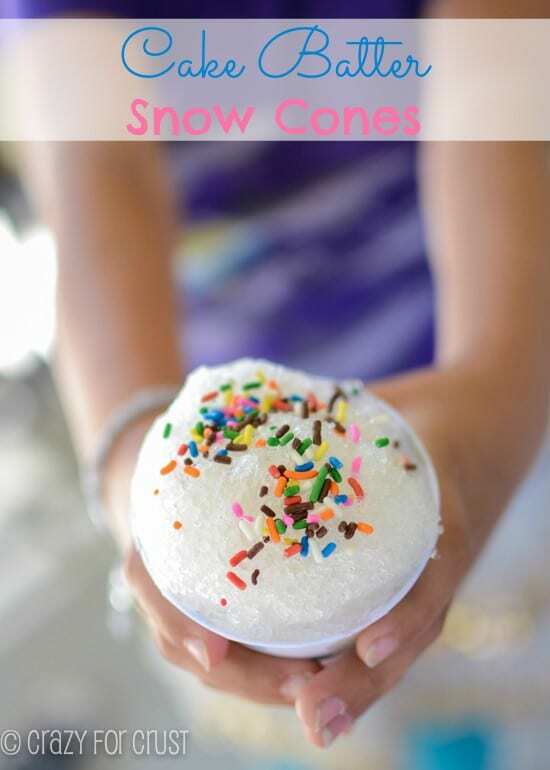 I had NO Idea it was that easy to make a snowcone syrup! It’s so much better and cheaper than buying the flavors at the store! I could TOTALLY use one of those right now!! 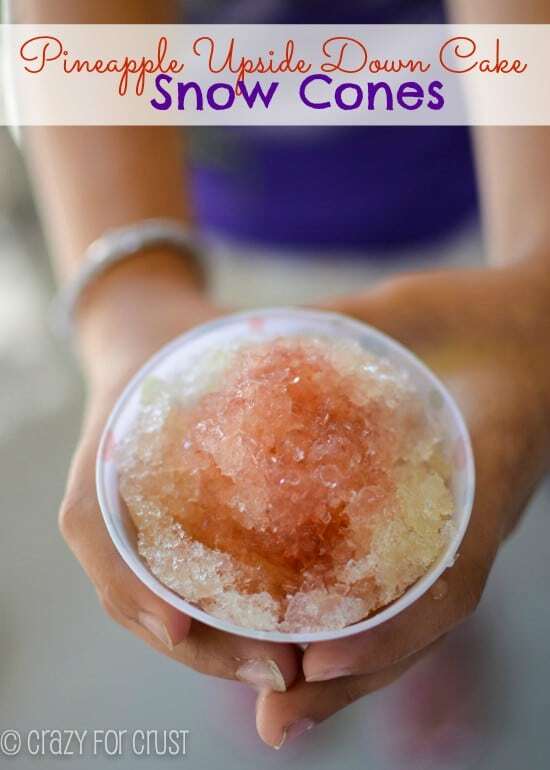 Here in PA we mainly do water ice, not snow cones. 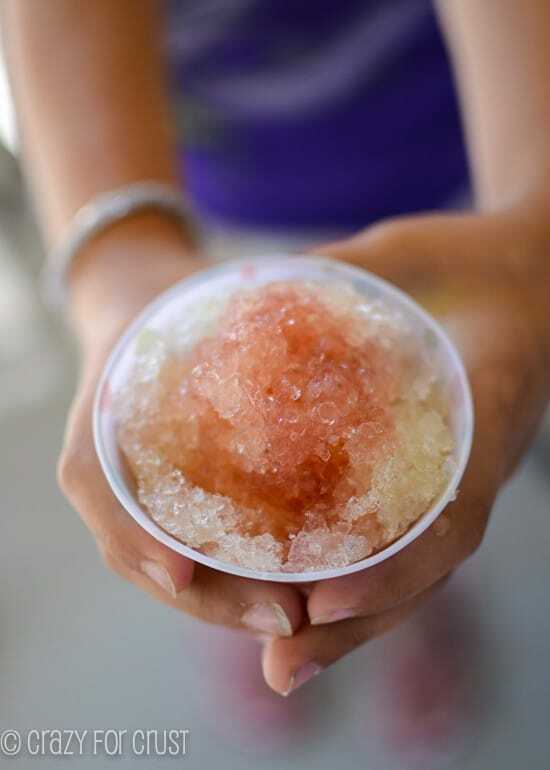 I wish we had a snow cone place near us! I think I’d prefer water ice! 🙂 I like my snow so fine it’s almost melted, ha! I’ll be right over. Save me a big one. This is epic 🙂 but how did you do the shaved ice??? 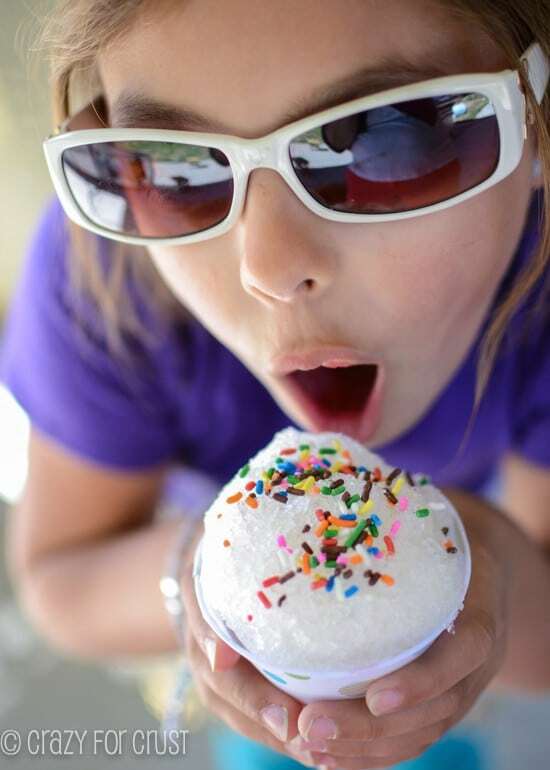 I have a snow cone machine – it’s one of those kid ones. I think they sell them all over the place this time of year! And I think even the “real” brands make them now!